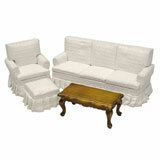 Ideal for smaller areas! Fabric may vary. 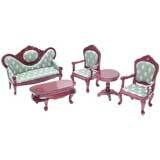 I've bought this same living room set for each of the dollhouses I've made for my four nieces. It's the perfect size for a smaller room. 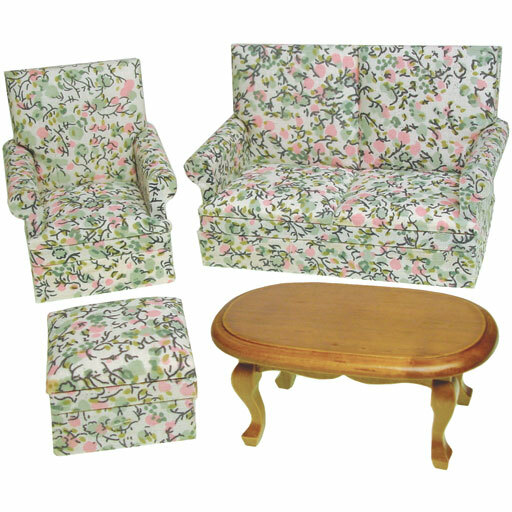 The pieces are very well made, the fabric is beautiful and it is and very "playable".